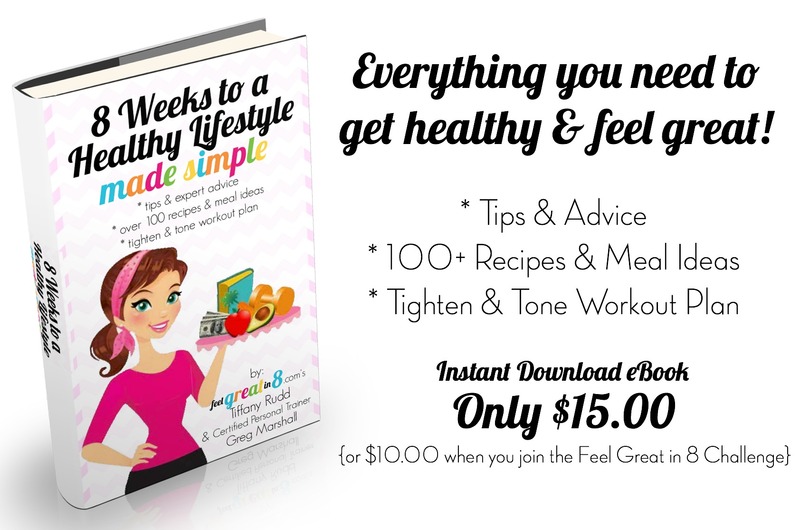 I truly hope this ebook will make creating a healthy lifestyle and participating in the Feel Great in 8 Challenge easier for you. I put my heart and soul and all my favorite recipes and tips in there – over 100 pages of them! Every recipe and meal idea includes calorie and nutrition information to make planning your diet super simple. And Greg created a workout, with demonstration images, that will strengthen your muscles and help tone all those trouble zones. Just image how incredible you’ll be feeling 8 weeks from now! !